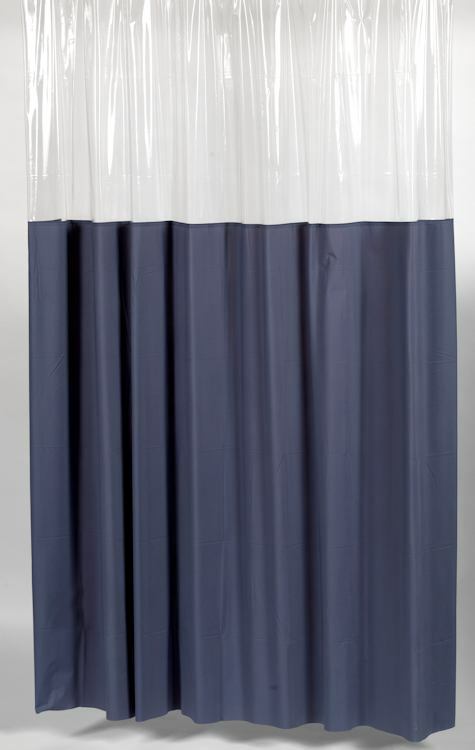 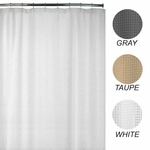 These Standard Size Window Shower Curtains are durable, heavy 10 Gauge Vinyl finished with a Premium Anti-Mildew Treatment to last longer between washes. 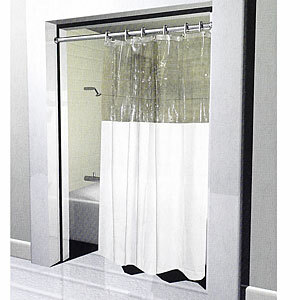 Metal Grommets further strengthen the hook holes to keep them from tearing if the shower curtain is pulled on. 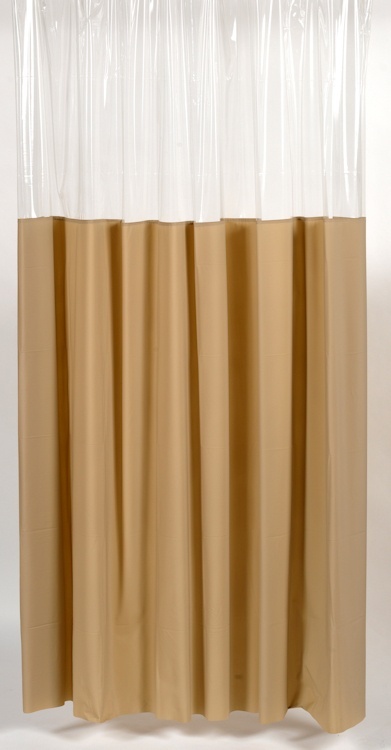 The Window Shower Curtains are available for wholesale purchase by the case of 12 shower curtains with Free Shipping. 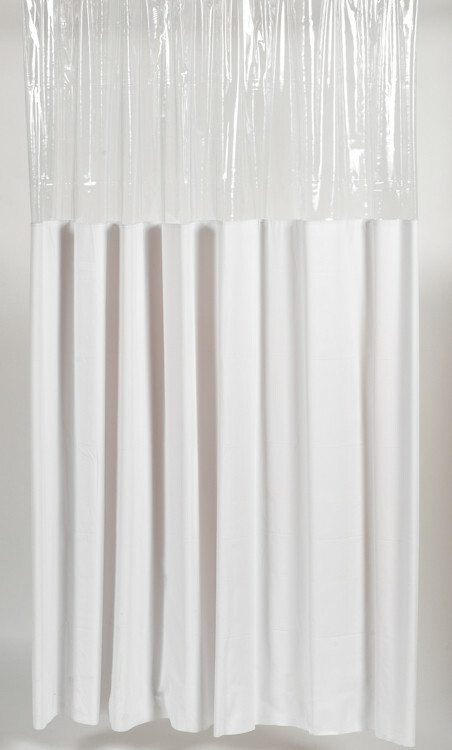 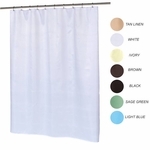 These Standard Size, 72" by 72", Window Shower Curtains are available in your choice of 5 colors: White, Ivory, Slate Blue, Sage Green and Tan Linen. 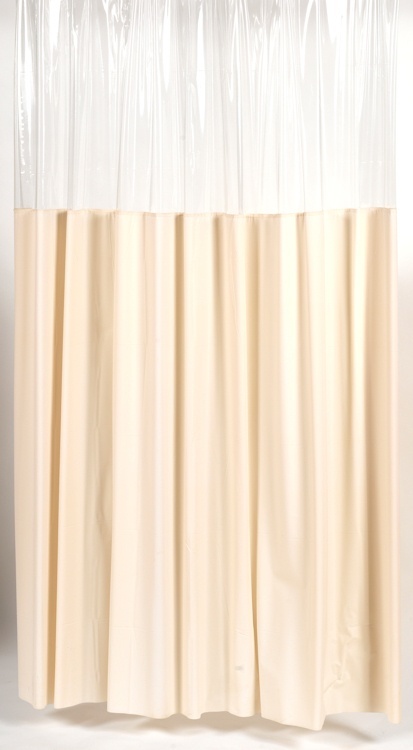 These Window Shower Curtains are also available in Stall Shower Size and Extra-Long Shower Size. 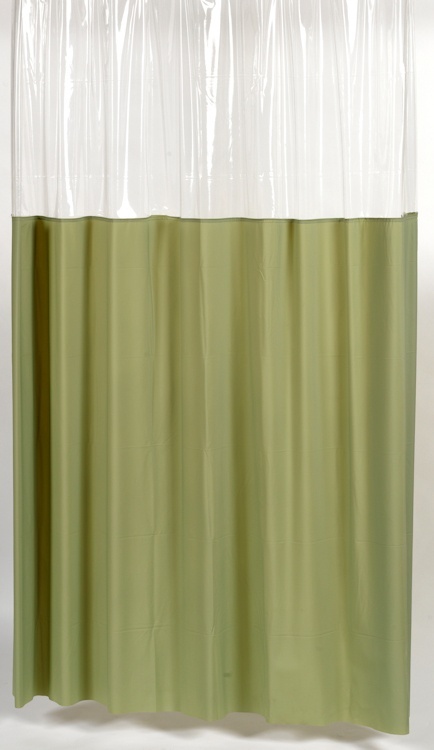 Available in 5 colors with a clear top: White, Ivory, Slate Blue, Sage Green, and Tan Linen.